The GICases Project has achieved important results, also thanks to the learning approach adopted: we brought the case-based learning approach into the EO/GI sector: students could apply their knowledge to real world scenarios, trying to find solutions to real problems. 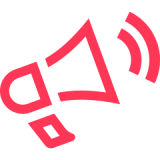 This approach, considered appropriate and efficient, will be used also by EO4GEO, a running Erasmus+ project that aims to bridge the skills gap between supply and demand of education and training in the EO/GI sector. EO4GEO has just achieved an important objective: the project will be part of the ESA Living Planet Symposium. 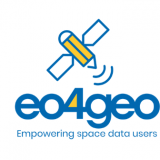 These conferences are among the biggest Earth Observation events in the world: the next one will be held in Milan on 13-17 May 2019 and EO4GEO will be introduced in a form of a poster and an oral presentation. Next story giCASES Final Report approved with the score of 98/100!